Comprehensive review of Party Armor Protection. See what real experts and actual users have to say about this hangover cure. 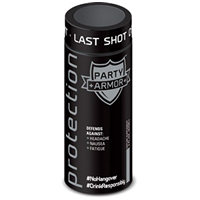 Party Armor Protection is a great hangover prevention product. It’s easy to use because all you need to do is make it your last drink before bed. The only major downside of this hangover prevention is that it tastes and smells really funky. Luckily, I didn’t experience any side effects. 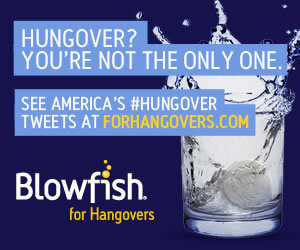 The best part about this product is that I woke up the next morning without any major hangover symptoms. Overall, I really enjoyed using Party Armor Protection (despite the gross taste) because it provided great results. Party Armor Protection is extremely easy to use. It just needs to be your final drink before bed. It’s designed to work overnight, so the drink won’t prevent hangover symptoms if you take it the next morning. The biggest downside of this drink is the taste and smell. It has a really funky smell, and pretty strong taste. I don’t know how to describe the taste, but I didn’t really like it. On the upside, the drink is really small, so it’s not too difficult to finish. In my opinion, the taste is worth it if it prevents a hangover. I had a few drinks before bed and finished the night with the Party Armor Drink. The next morning I woke up feeling great. Surprisingly, I didn’t have any major hangover symptoms. Party Armor Protection has many awesome ingredients. One major ingredient is L-Glutathione, which is an antioxidant that fights hangover symptoms by detoxing the liver and destroying Acetaldehyde. Acetaldehyde is released in the body after consuming too much alcohol, which causes the hangover symptoms. Another key ingredient is Milk Thistle Extract, which supposedly prepares and protects the cells in your liver. It also contains Vitamin B complex that is believed to help prevent headaches. Other great ingredients are Prickly Pear Extract and Maqui Berry Extract. Prickly Pear Extract is used to speed up recovery time, while Maqui Berry Extract supposedly helps cleanse the body of harmful toxins. Luckily, I didn’t experience any major side effects. It costs $22 for a package of 6 bottles. That works out to about $3.67 per serving. Party Armor Protection is affordable, but definitely not the least expensive hangover prevention. Unfortunately, I couldn’t find a money-back guarantee.